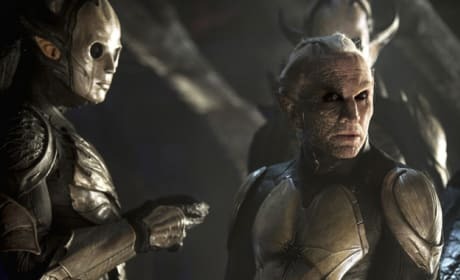 The villains in Thor: The Dark World. 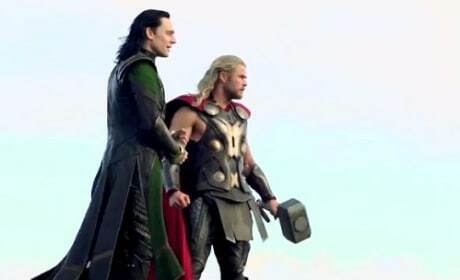 The sequel to Thor lands in theaters later this year. Kat Dennings is back in Thor: The Dark World. Dennings reprises her role from Thor. 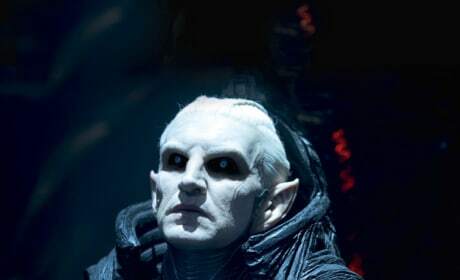 An alien from Thor: The Dark World. Chris Hemsworth returns as Thor. 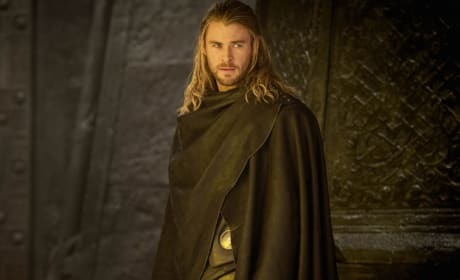 Chris Hemsworth stars in Thor: The Dark World. Tom Hiddleston is also back as Loki. 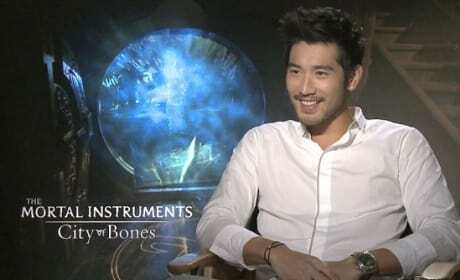 Godfrey Gao in our exclusive interview. Gao plays Magnus Bane in The Mortal Instruments: City of Bones. 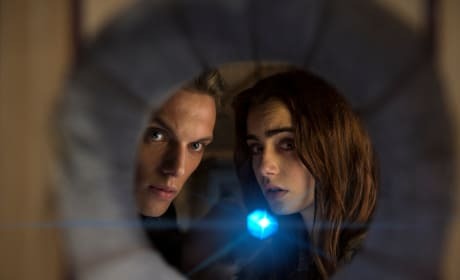 The Mortal Instruments City of Bones stars Jamie Campbell Bower and Lily Collins. The Cassandra Clare book goes big screen. The Mortal Instruments City of Bones Jared Harris Lily Collins. Jamie Campbell Bower also stars. 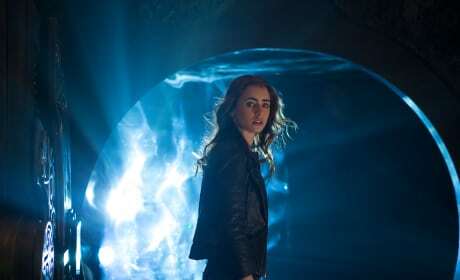 Lily Collins in a scene from The Mortal Instruments: City of Bones. 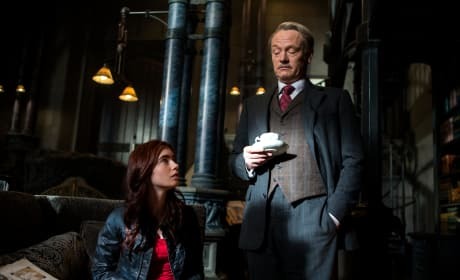 Jared Harris also stars in the YA book by Cassandra Clare. 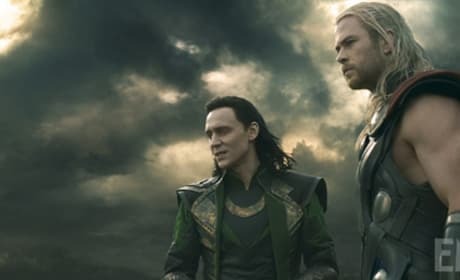 Chris Hemsworth and Tom Hiddleston star in Thor The Dark World. Anthony Hopkins returns too. The cast of The Mortal Instruments: City of Bones, Lily Collins and Jamie Campbell Bower, in our exclusive interview. Collins and Bower are integral to the City of Bones storyline. It's a wrap for X-Men Days of Future Past. 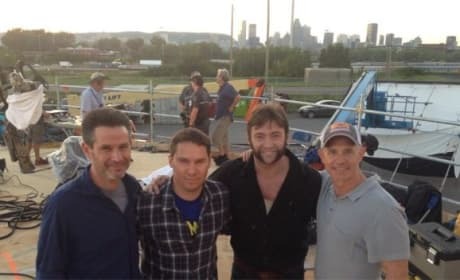 Bryan Singer tweeted a photo of him and Hugh Jackman as filming finished.